I never used to suffer from acne but since having my children, I seem to periodically be riddled with it. It was becoming very sore and blotchy - very disheartening so bit the bullet and took myself off to see my GP. Alas, there is something that could be done. Apparently mine is due to the hormonal changes my body has gone through over the years and the Doctor prescribed this cream to me - Quinoderm 5, which is completely designed to treat acne. I used to swear by Sudocrem but this is the real Mccoy. If this didn't do the trick she said, then I was to go back and get a steroid based cream. Luckily Quinoderm has been doing the job and after 5-10 days the effected areas were so much better, by the time 30 days passed it was almost completely gone. I spread the cream thinly all over the effected areas twice a day and massage into the skin until there was no trace left. You feel a gentle tingling sensation and this to me, proved it was doing its job. 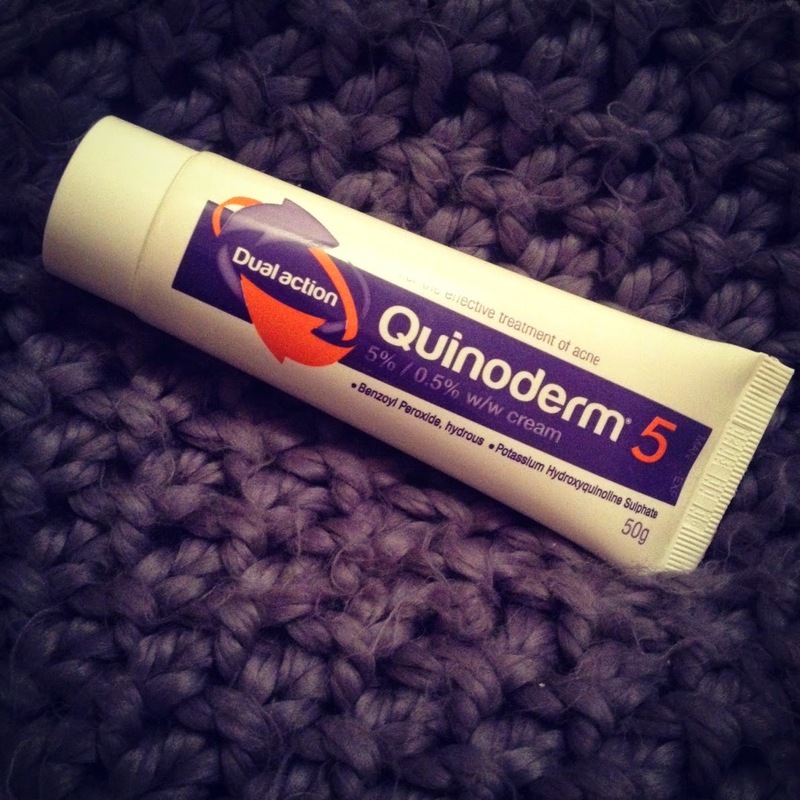 *Note, this is my own personal opinion of Quinoderm 5 - always seek advice from your GP before trying anything new. I really recommend visiting your GP and asking about this. You can buy it over the counter but if you get it prescribed then it is free. This is my second tube and I have been using it since November. When the outbreak cleared, I did stop using it and the spots eventually returned. Again I whipped this out and it has cleared up, I always have it handy in my bedside cabinet now. Obviously everyone is different but it really worked for me and perhaps it would help you too. This is a version of benzoyl peroxide. Don't you feel like it dries out your skin too much if you use it morning and night? I find it really helps me.